Learn about RV52.com’s RV Selector GuideTake this short quiz to receive FREE guidance and insight on which RV is the best fit for you and your lifestyle. This costs you nothing and could help you avoid a $50K (or more) mistake. Thinking about renting an RV? The RV Rental Association has suggestions and tips on how to choose the right RV and a search tool to find a local dealer. Bates International Motorhome Rentals – Nationwide RV rental franchise. Reserve your motorhome online today. Cruise America – Reserve an RV. Includes info on “Hot Deals” and packages. ElmonteRV.com/ – Pick up your RV at several locations in California & Nevada. Ask about their one-way specials. California Campers – Volkswagen Campers for rent from Los Angeles and San Francisco. Private Motorhome RV Rental – Private Motorhome RV Rentals is a motorhome rental referral service providing luxury motor homes owned by private individuals. 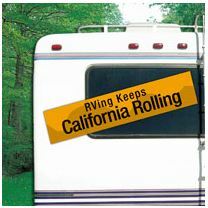 Thinking about buying your first RV? GoRVing.com has lots of helpful tips and suggestions for first-time buyers.